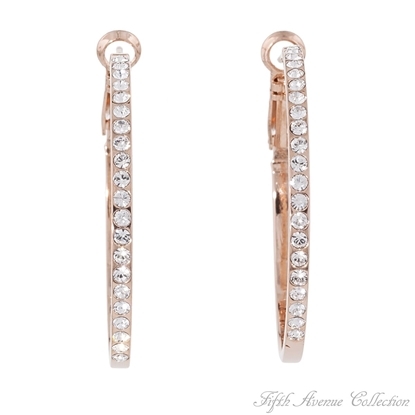 Fifth Avenue Collection - Canada. Everyday In Every Way! 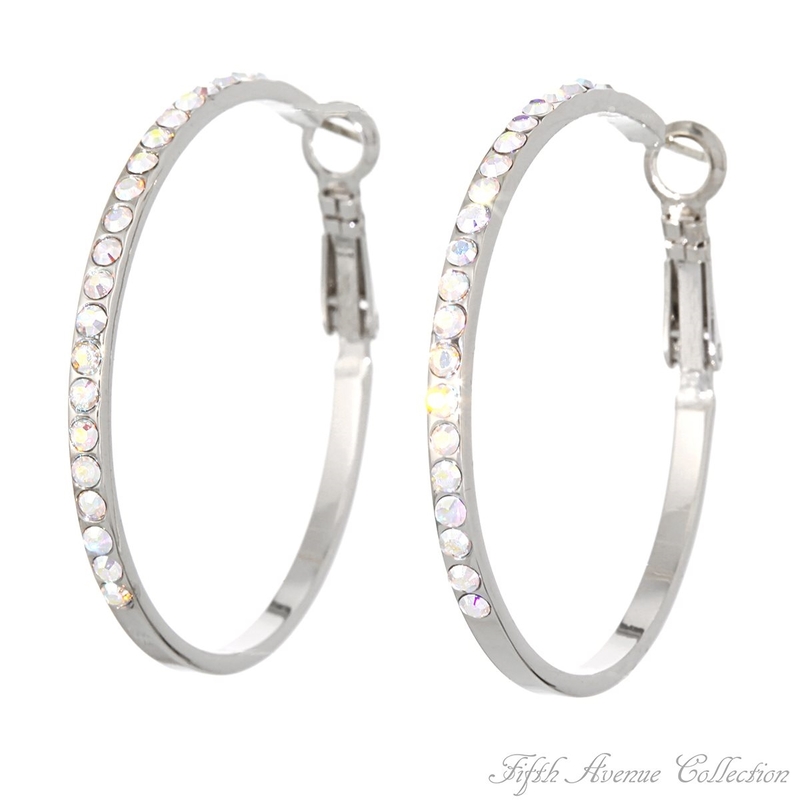 Indulge yourself in the splendor and versatility of these crystal studded hoops that will please you “Everyday In Every Way”. Whether it's a business meeting or a gala affair, you will look beautiful and feel confident knowing that you have chosen the perfect jewellery for the occasion. Available in all of this season's hottest colors! 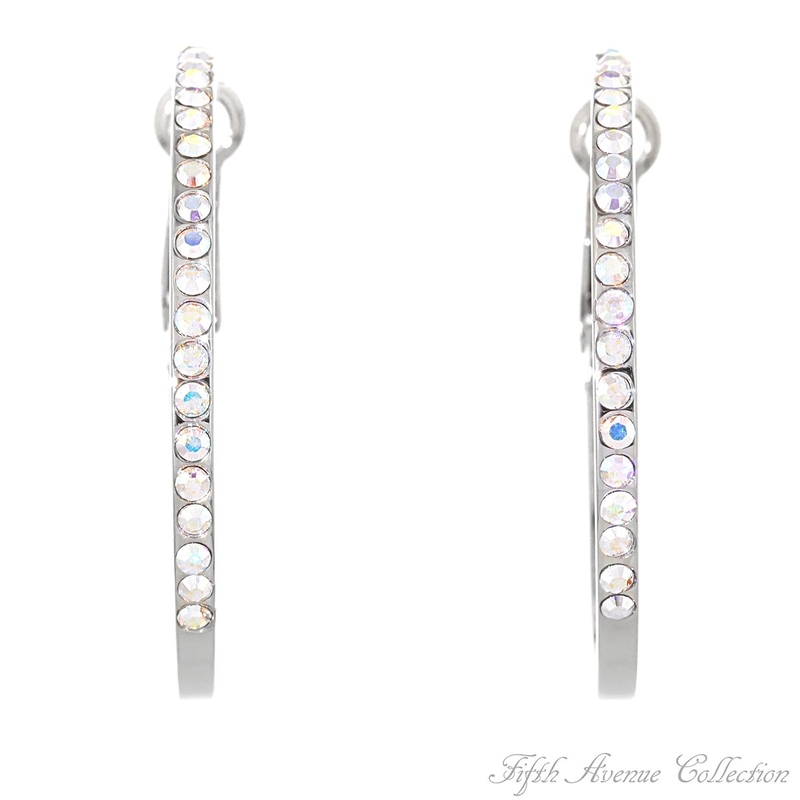 Earrings with sterling silver posts. Nickel and lead free. Indulge yourself in the splendor and versatility of these crystal studded hoops that will please you “Everyday In Every Way”. Whether it's a business meeting or a gala affair, you will look beautiful and feel confident knowing that you have chosen the perfect jewellery for the occasion. Available in all of this season's hottest colors! 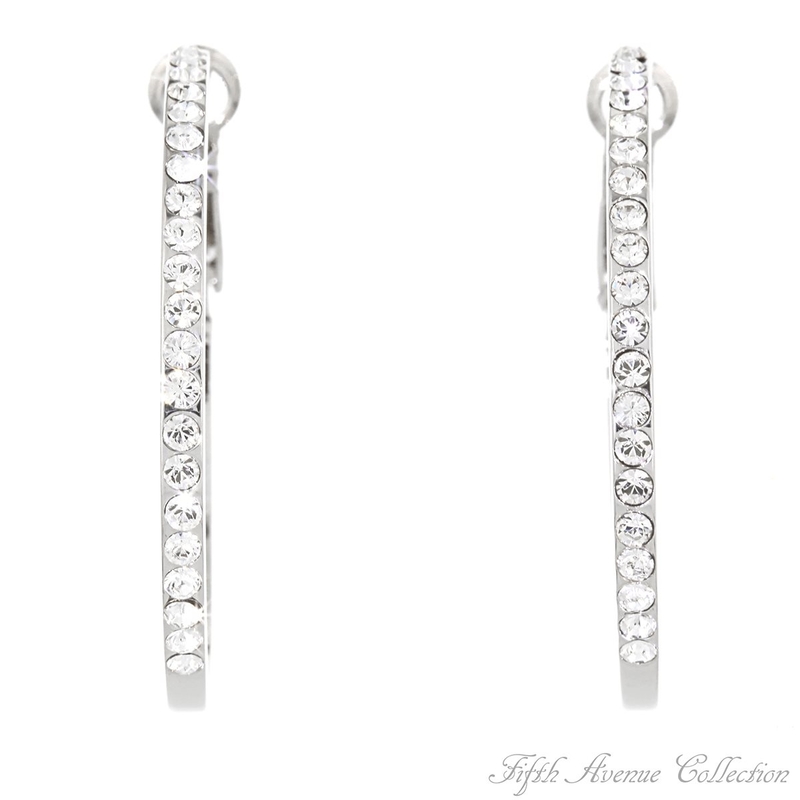 Earrings with sterling silver posts. 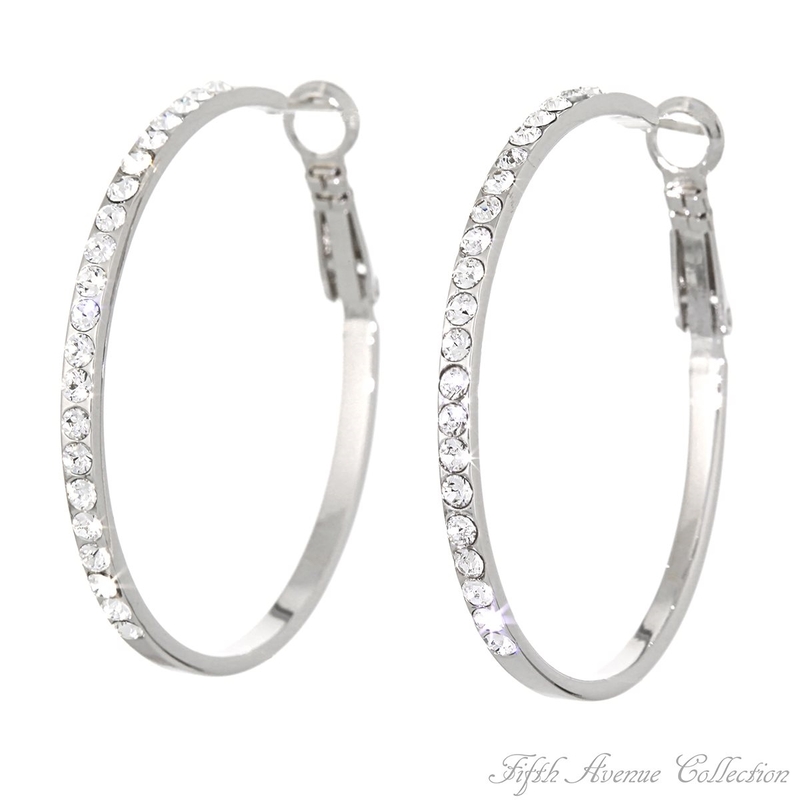 Indulge yourself in the splendor and versatility of these crystal studded hoops that will please you “Everyday In Every Way”. Whether it's a business meeting or a gala affair, you will look beautiful and feel confident knowing that you have chosen the perfect jewellery for the occasion.Available in all of this season's hottest colors!Earrings with stirling silver posts.Nickel and lead free. 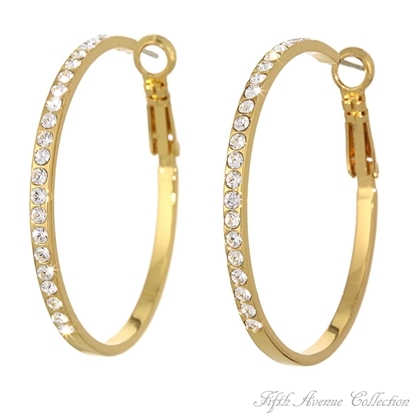 Indulge yourself in the splendor and versatility of these crystal studded hoops that will please you "Everyday In Every Way". Whether it's a business meeting or a gala affair, you will look beautiful and feel confident knowing that you have chosen the perfect jewellery for the occasion. Available in all of this season's hottest colors! Earrings with stirling silver posts. Nickel and lead free.